ASEN NSW citizen science roadtrip! 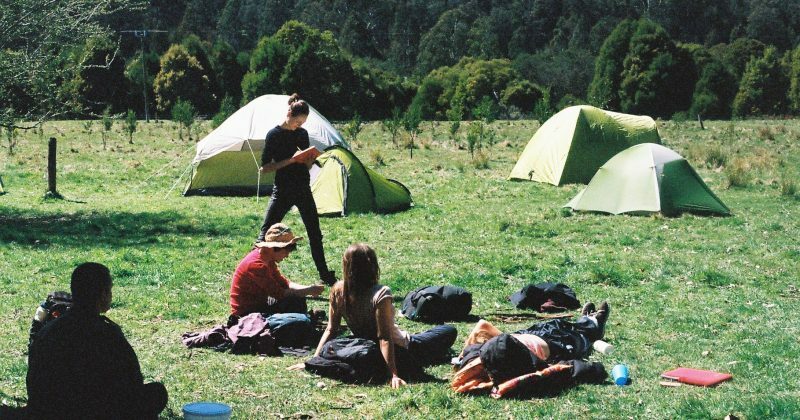 This mid-semester break, ASEN NSW are heading up to Vickery State Forest on Gomeroi country to take part in citizen science efforts and learn from traditional owners and community about the effects of coal mining on livelihoods in the New England area. 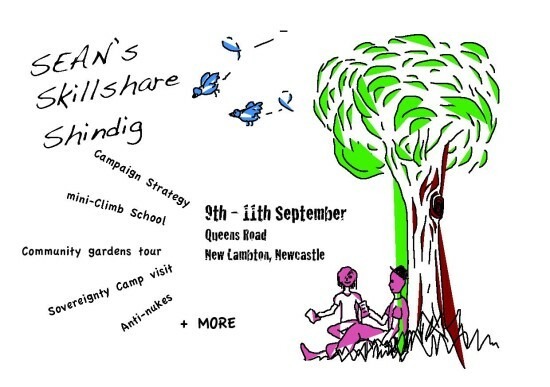 It’ll be happening from 24-28 September (Saturday to Wednesday) with ASEN organising carpooling and food in exchange for attendees chipping in to cover costs. 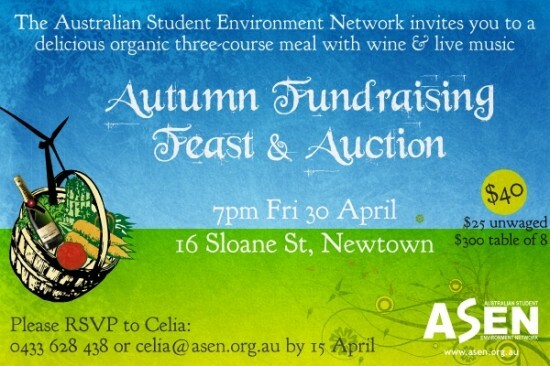 Find out more on the facebook event, at the info night happening at UNSW (Tuesday 6 September 5pm Quad G027) or by emailing nswact[at]asen.org.au . 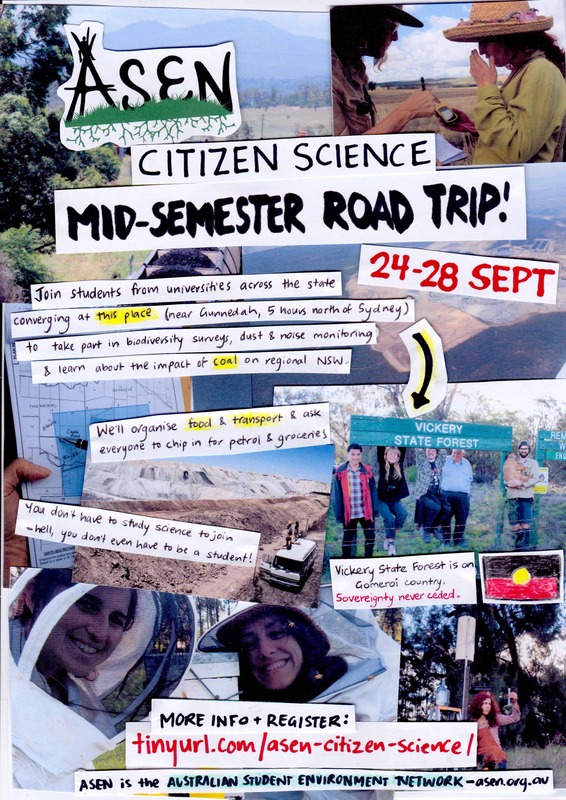 And don’t forget to register at tinyurl.com/asen-citizen-science ! 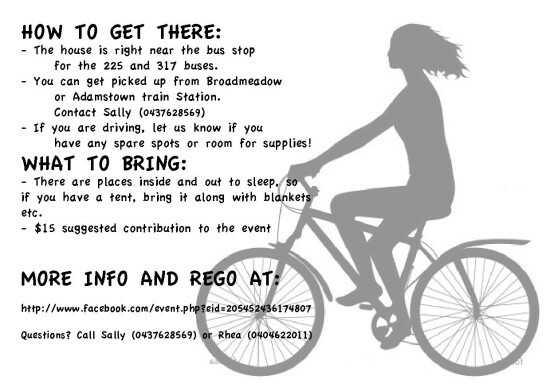 All welcome, including non-students. 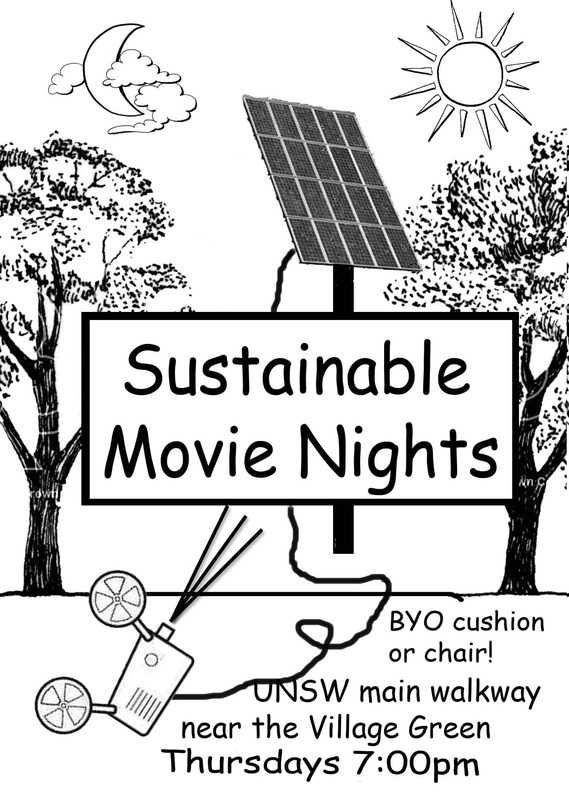 Please come and watch a free outdoor movie about environmental and social issues at the UNSW walkway most Thursdays. Salvaged food will be communally cooked at 6pm. Check facebook event for more information.